Fact Check: Heart disease is a risk factor for stroke. According to Sydney Mallenbaum, M.D., a Carilion Clinic neurologist, heart disease and stroke share many commonalities. "They are both diseases of the blood vessels and the risk factors for heart attack are the same as the risk factors for stroke," he explained. "High blood pressure, diabetes, high cholesterol, smoking, excessive alcohol use are all risk factors for both." Watch the video above for more about the connections between these two conditions. 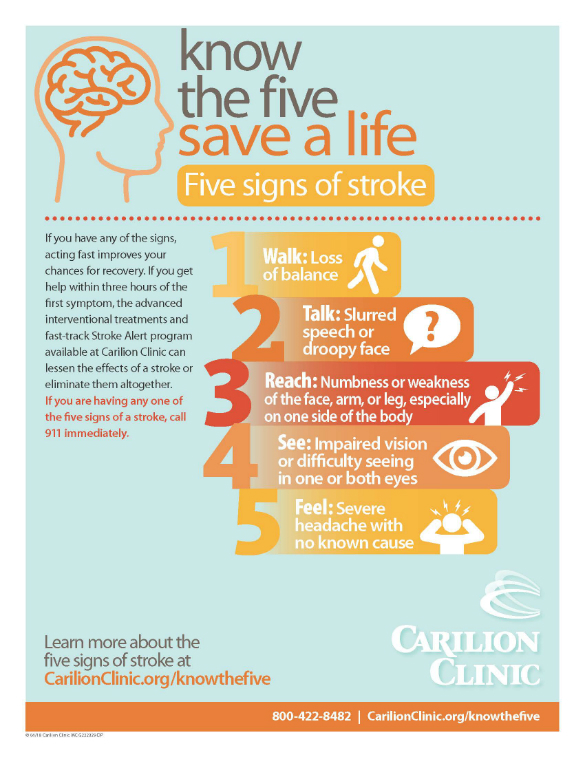 Check out the infographic below for more information on the signs of a stroke. You may just save a life!